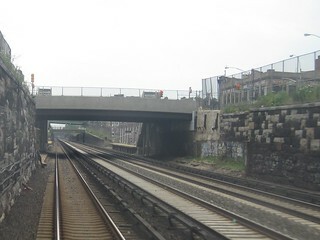 The Tremont station has a short high level platform serving each of the outer tracks. Only a few train stop here each day. 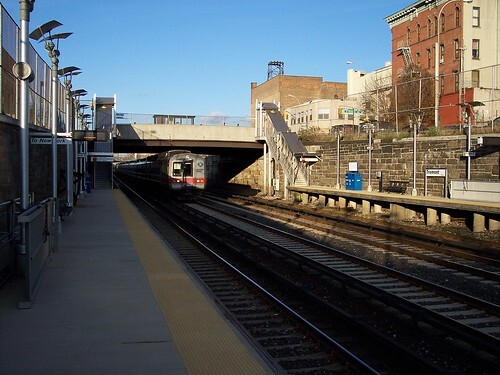 In the photo we see a New Haven Line train passing on an express track. As we enter the station from the north we can still see parts of the old low level platforms. The station building had been over the tracks. It has been removed but its former location can still be seen just before the overpass.